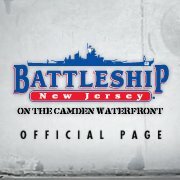 America's most decorated Battleship is now the area's most exciting museum, open for tours, events and overnight encampments. Exploring ?BB62? is experiencing history in a whole new way. Not only do you see exhibits of artifacts from the ship?s past, but you are put into the exhibit as you go through the tour route. Sit in the chair from which Admiral Halsey commanded the fleet. Stretch out on the bunks where the sailors slept. Climb into the 16? gun turret and learn how the projectiles were loaded. From the moment you step across the ship?s brow you will understand that this is a museum where visitors take an active role. From strolling across forecastle to climbing the original ladders up to the bridge, and beyond, each step in your journey brings you closer to understanding what life was like for a sailor on the Battleship New Jersey.